Morey-St-Denis is located in the Côte de Nuits in Burgundy between two very well known appellations: Chambolle-Musigny and Gevrey-Chambertin. Morey-St-Denis soil is composed by a top layer of chalk and clay on a base of hard limestone. 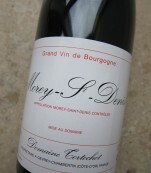 Morey-St-Denis produces mainly red wines based on Pinot Noir grapes. Red wines are excellent but not yet have acquired the reputation of their neighboring appellations providing them with the opportunity to offer incomparable value. Morey-St-Denis red wines are well structured and powerful, with intense aromas and red fruit flavors with notes of currant, almond and truffle. Morey-St-Denis has a very limited white wine production, however few they offer excellent quality. They are characterized to be big elegant wines, with an intense aromatic profile and a nice mineral finish. The Chardonnay vineyards are planted on the top of the slopes, where the soil is composed almost only of limestone making it ideal for the Chardonnay grapes. 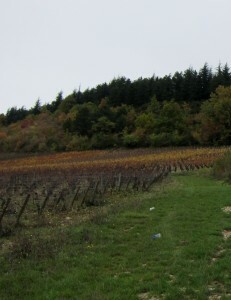 There is one white wine Premier Cru vineyard in Morey-St-Denis: Monts-Luisants.